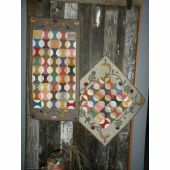 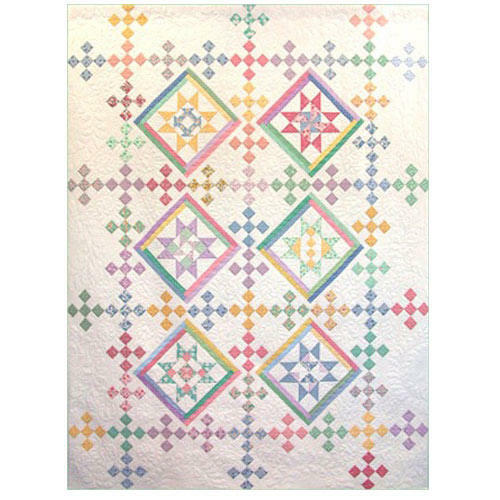 A scrappy 75"X100"quilt of 1930's fabrics appeals to all levels of quilters with a variety of blocks. 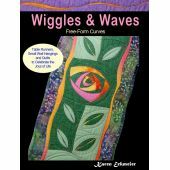 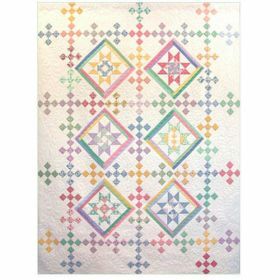 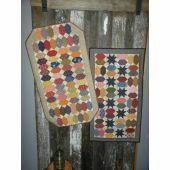 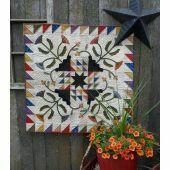 Six star blocks with different pieced centers surrounded by "logs" and twelve alternate double nine patch blocks set on point make this a stunning quilt in Reproduction fabrics, batiks or bright color collections as well. 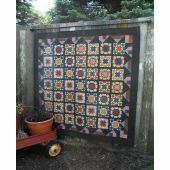 Easily adapted for a "Block of the Month" program.